It feels as if it's Xmas, his birthday and 3000Grad Festival on the very same day: The moment when Mollono.Bass opens one of those digital packages with the magic words “Remix Files” glowing on the screen below them. He frequently receives those packages from good friends, from people with whom he shares a deep passion for driving grooves and catchy melodies. They come from a great variety of musical backgrounds. Some are specialized in samples and synthesizers, some are singers and songwriters, and some are the members of a band. 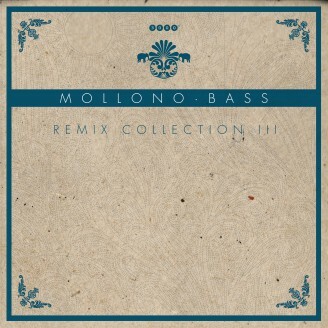 That's exactly the reason why Mollono.Bass loves remixing so much: It just never gets boring and is always a wonderful source of inspiration. And that again is the reason why his highly danceable interpretations are extremely varied – just as this remix collection itself.